Far from the reach of the Chinese government, Uyghur booksellers are protecting their language from being erased. Abduljelil Turan, 60, stands outside his Uyghur-language publishing house and bookstore in Istanbul. Nestled in an Istanbul suburb, in a bookshop on an otherwise unremarkable street, are the keepers of a language that hundreds of thousands of people are forbidden to speak. In a back office, book orders are wrapped in smooth brown paper and organized into stacks on the floor. A sky-blue vest with the words "Free Uyghur" hangs in the corner. Along a single hallway out front, shelves are lined with classic novels, children&apos;s textbooks, and political histories; the spines&apos; titles all bear a loopy, Arabic script. A translation of George Orwell&apos;s 1984 sits in the window. 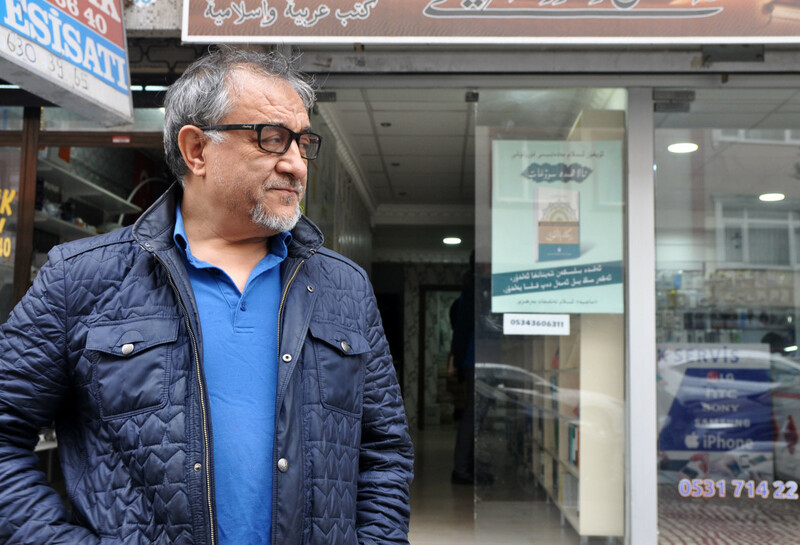 "We want these books to exist," says Abduljelil Turan, the owner of Teklimakan Uygur Neshriyat, which may be Turkey&apos;s oldest Uyghur-language publishing house. "People here, we need to keep our language alive." 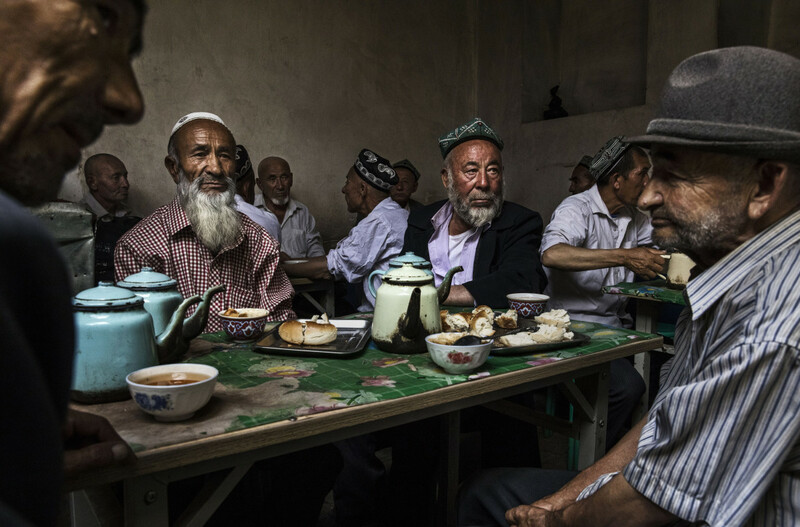 The Uyghurs are members of a largely Muslim minority group concentrated in China&apos;s autonomous Xinjiang region. Descendants of a vast Central Asian empire, they are now among the main targets of China&apos;s latest anti-terrorism campaign—one that has resulted in the detention of a million people, possibly more, in what the Chinese government is calling "re-education centers" and "boarding schools." Detainees at these centers are forced to learn and speak Mandarin, sing patriotic songs, and attend self-criticism sessions denouncing their faith. Others are assigned to work for low wages in factories in China&apos;s interior. Those who refuse to participate are punished with beatings, public humiliation, and the deprivation of sleep and food, according to testimonies given by former prisoners. At least 380 Uyghur intellectuals, writers and artists have been confirmed by the Uyghur Human Rights Project as having been interned, detained, or disappeared since April of 2017, says senior researcher Henryk Szadziewski. At least five have died in custody, and Szadziewski fears that number is just the tip of the iceberg. 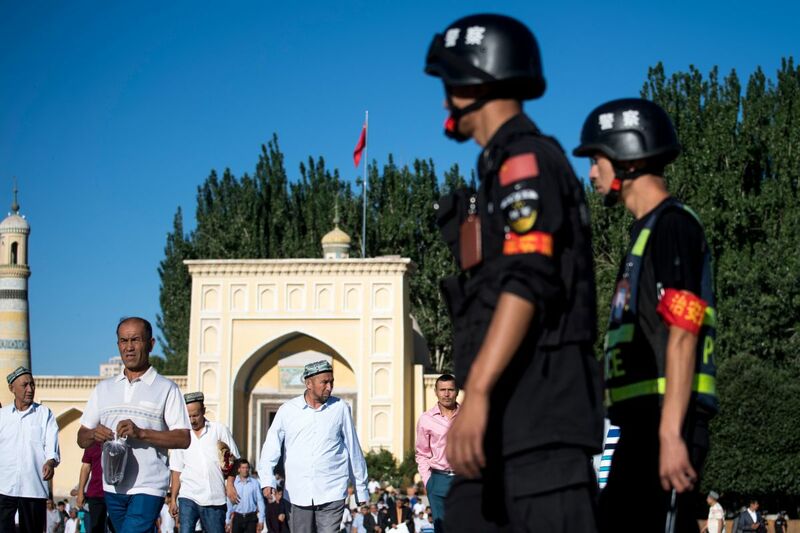 "What [the government] seems to be doing is targeting intellectuals, because they&apos;re potential leaders of a nationalist movement," said Michael Dillon, an academic and author who writes about the Xinjiang region. As writers in China fall silent, publishers in the Uyghur diaspora are left to preserve what they can. By printing and distributing Uyghur texts, they hope to keep their language and literary history alive for the next generation. They fear there is no other option. "You might as well ask me who isn&apos;t detained," Turan says, sending an employee to collect a stack of slim, earth-toned paperbacks from the shelves. With each one, he picks up the volume and opens to an inside page, where a full-color photograph of the author stares back. There is Halide Isra&apos;il, the author of the historical novel Golden Shoes. There is Chimengul Awut, the poet and publisher who edited Isra&apos;il&apos;s drafts. Men, women, Communist Party members, it doesn&apos;t matter; each of these authors is now in prison for their work. "This one, he was arrested when he was 74 years old!" Turan says, jabbing his finger at a picture of Memtimin Hoshur, an author of humorous short stories. Does Hoshur write anything provocative that could have caught the attention of the authorities, I ask? Anything that&apos;s particularly controversial? "No!" Turan replies with force. 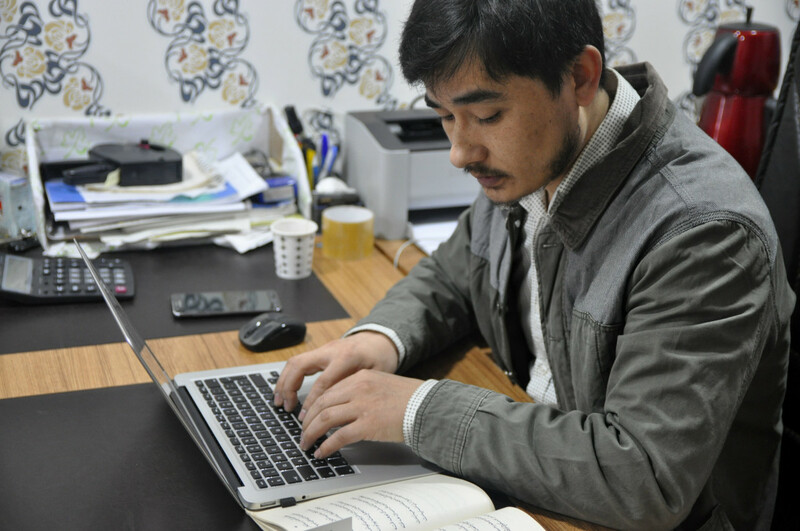 "[He was arrested] because he writes in Uyghur. Because of his identity." A friend of Turan&apos;s chimes in darkly from the couch. Just about anything can be considered separatist literature and used as a reason to detain someone, he says. "If the Chinese government wants to use it, they can use it." When Turan was a teenager in Hotan, an oasis town built along the ancient Silk Road, Uyghur books were nearly impossible to find. Copies that were printed before 1949 had been burned, confiscated, or hidden in attics during China&apos;s Cultural Revolution. When he and his friends did get their hands on a novel, they would copy it, word by word, with a pen and paper. "If you wanted to read the book, you had to write it down," Turan says. "We wrote to read." Ershat Bahtiyar, 27, digitizes an older volume by typing it directly into a word document. This one, he says, will take two days to complete. Since coming to Turkey in the 1990s, Turan says he&apos;s published 250 Uyghur-language books and translations. He has a particular eye for historical, philosophical, and religious texts, many of which are censored or banned outright in China. When people tell Turan that copies have made it into Xinjiang, to be read by Uyghur readers, it brings him pride. "Before, we were sending these out for free," Turan says of the period before the crackdown, noting that he’s seen an increase in demand over the past couple of years. "Now, we&apos;re printing books that are forbidden. People miss their culture and their literature." In 2000, he named his publishing business after the Taklamakan Desert, which surrounds his hometown. In 2017, he opened a bookshop in the front of the publishing house. "Many young Uyghurs read books there," says a 33-year-old Ph.D. student who asked to remain anonymous given threats against his family from Chinese authorities. He says he appreciates that Teklimakan publishes academic textbooks, so that students can learn in their native tongue. On a recent visit, he was surprised to find a book about Alija Izetbegovic, the leader of Bosnia&apos;s Muslims during its war for independence from the former Yugoslavia. The text had been recommended by his Turkish professors. "I go [to Tekmilakan] whenever I want to read in Uyghur, and I feel like I am in Urumqi," he writes to me in a WhatsApp message, referring to Xinjiang&apos;s largest city. He adds a smiley face. In October of last year, the Chinese government broke its silence and formally acknowledged the existence of the re-education camps for Uyghurs and other minority groups. In an interview published and translated into English by Xinhua, China&apos;s state-run press agency, Shohrat Zakir, the government chairman of Xinjiang territory, claimed that the government had no choice but to intern thousands of Uyghurs to educate the region&apos;s population and prevent terrorism. "Some residents there have a limited command of the country&apos;s common language and a limited sense and knowledge of the law," said Zakir, who is of Uyghur descent. "[The program&apos;s] purpose is to get rid of the environment and soil that breeds terrorism and religious extremism." Aside from Mandarin Chinese lessons in "re-education centers," the forced assimilation of Uyghurs extends to those who are technically free. Observers say that, in schools, teachers and students are punished for speaking Uyghur. Many children of detained Uyghurs are sent to state-run orphanages, where they are only permitted to speak Mandarin. The government has confiscated passports, and anyone who tries to contact a family member living outside the country risks arrest. Police patrol as Muslims leave the Id Kah Mosque after morning prayer on Eid al-Fitr in the old town of Kashgar in China&apos;s Xinjiang Uyghur Autonomous Region on June 26th, 2017. The increasingly strict curbs imposed on the mostly Muslim Uyghur population have stifled life in the tense Xinjiang region, where beards are partially banned and no one is allowed to pray in public. In April of 2017, University of Washington anthropologist Darren Byler visited the Xinjiang region and found empty shelves in the Uyghur-language sections of state-run bookstores. Private Uyghur-owned booksellers had closed, suggesting that their owners had been detained. More recently, Byler says, Uyghur religious texts and historical novels have been banned entirely. "It&apos;s horrifying. Uyghurs have a very rich system of knowledge and tradition of wisdom that&apos;s been passed on for generations," Byler says. "To have that stuff erased, taken away, burned.... It&apos;s very difficult for a society to recover from." But what, exactly, does the government find so threatening about these books? One of the best-selling Uyghur-language books of all time is Zordun Sabir&apos;s Anayurt (Motherland), a fictionalized chronicle of the Ili Revolution of 1944. The historical backdrop for the trilogy is real: Supported by the Soviet Union, Uyghurs briefly formed an independent state, before China retook the area in 1949. Though the novel passed through Chinese government censors, its pages could easily be taken out of their historical context and applied to modern Uyghur concerns, as Gardner Bovingdon writes in The Uyghurs: Strangers in Their Own Land. 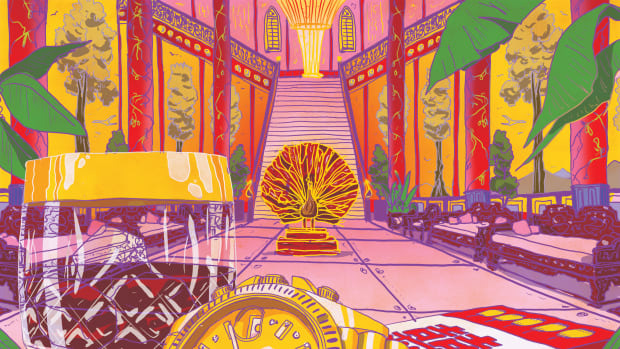 A passage in the novel about guests taking advantage of their hosts echoes the frustrations many Uyghurs describe with the migration of China&apos;s Han majority to Xinjiang. An episode where the narrator describes sheep feeding in a pasture, unaware of a wolf among them, can be read as a warning about the dangers of complicity under Chinese rule. The book remains enormously popular, despite being temporarily removed from shelves soon after its release in 2000. Uyghur men talk at a teahouse in the old town of Kashgar in Xinjiang province, China, on July 1st, 2017. Kashgar has long been considered the cultural heart of Xinjiang for the province&apos;s nearly 10 million Muslim Uyghurs. "I read it when I was in high school," says Muyesser Abdulehad, a writer in Istanbul who teaches Uyghur classes to children on Sunday mornings. "We all knew about the revolution." Growing up in Xinjiang, Abdulehad and her classmates were given history lessons that drew on the ideology of China&apos;s ruling Communist Party. In rare cases where Uyghur history was discussed, she says, it was twisted. Reading Uyghur novels, by contrast, felt like an escape. "People are eager to hear their history—our real history," she says. Turan didn&apos;t design his bookshop to be a meeting place; it became one by default. Friends duck in for a cup of tea and update one another on acquaintances detained in China. A bespectacled young man, recently arrived from Xinjiang, stops by for a quiet space to read. Turan ushers him into the office. "It&apos;s cold outside," he says. "Come in here." Emmar, 4, and Muhammed, 3, sit outside a candy shop near their father&apos;s cell phone store. The neighborhood of Zeytinburnu boasts one of Istanbul&apos;s largest collections of Uyghur-owned shops, businesses, and restaurants. Though an afternoon at Teklimakan may be a respite, it&apos;s hard to escape the grim reality of what is happening back in Xinjiang. Book publishers in Turkey are safer than their counterparts in China, but Turan&apos;s chosen profession has come at a steep price. For more than 20 years, he has been unable to travel to the country of his birth. Fearing that he could put his family in danger simply by contacting them, he seldom called his parents. Finally, in 2015, three of his older sisters arrived in Istanbul for a visit, along with a nephew he had never met before. They stayed for two months. "It was like a dream," he says. "We talked about our childhood, our parents, our village ... old memories." At the time, only occasional reports of Uyghur arrests made it out of Xinjiang. After living through the Cultural Revolution, Turan says he&apos;d never expected that the Chinese government would again detain people on such a scale. In the end, his sisters returned to Xinjiang, even though he begged them not to. Now, he&apos;s learned that people who have traveled to countries deemed "sensitive" by Chinese authorities, such as Turkey, are often singled out for detentions. In 2016, he lost all contact with his family after the extent of China&apos;s surveillance of the communications of Uyghur civilians became clear. For more than two years now, Turan has lived without assurances that his sisters and their families are safe. He says he never imagined it would be like this. "I would not have let them go," he says. "I would have burned their passports." Translations and additional reporting by Abduwelli Ayup. Pacific Standard&apos;s Ideas section is your destination for idea-driven features, voracious culture coverage, sharp opinion, and enlightening conversation. Help us shape our ongoing coverage by responding to a short reader survey. Durrie Bouscaren is a freelance journalist based in Istanbul, Turkey. Previously, she worked as a reporter for local NPR stations in the Midwest. In 2018, she covered gender-based violence in Papua New Guinea as NPR's John Alexander Fellow. 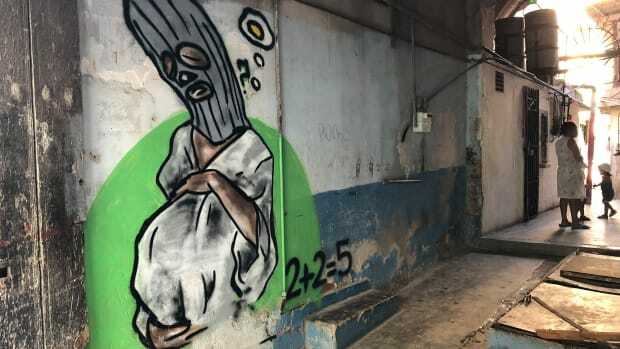 Threatened by authorities, Cuban street artists are finding resourceful ways to continue their work: on garbage, on bicycle taxis, and on the underground Cuban Internet. 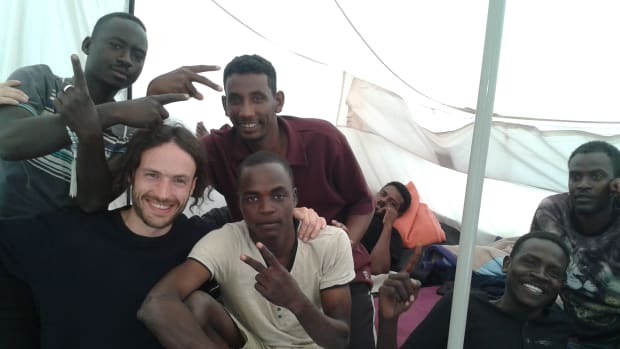 A Facebook-based refugee charity can be borderless and international in a way that other charities can't. 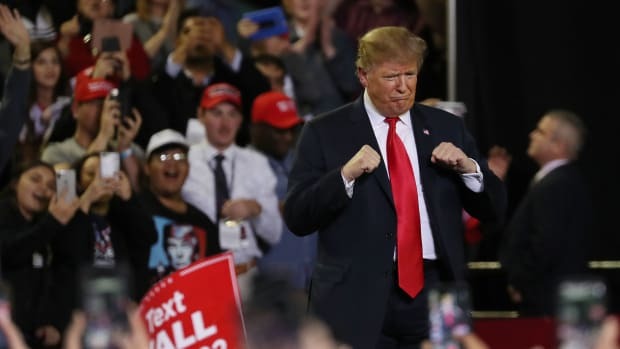 Psychologist and author Hector Garcia explains the roots of our political divide—and how the Trump administration embodies "the worst aspects of male psychology." 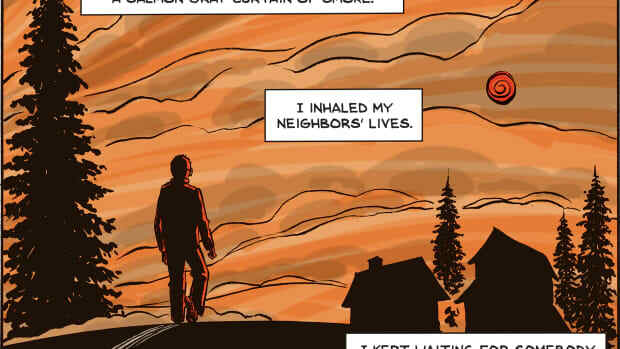 The author and illustrator explains how seeing his home reduced to a "desolate plane" by the 2017 disaster inspired his latest book. 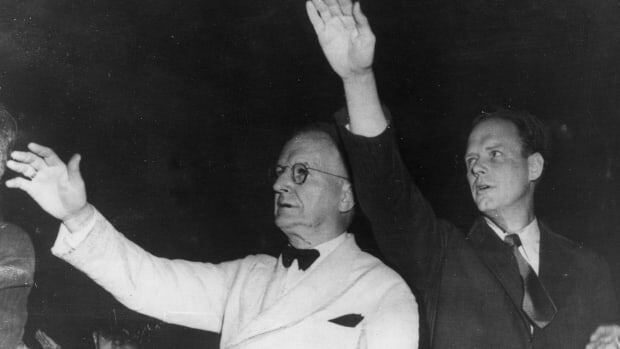 Literary scholar Sarah Churchwell discusses the shifting meanings of "America first" and "the American dream."